[Tuesday, June 3, 2008] Space Exploration Technologies Corp. (SpaceX) conducted the first five-engine firing of its Falcon 9 medium to heavy lift rocket at its Texas Test Facility outside McGregor on Thursday, May 29. [Wednesday, June 4, 2008] NASA/GRC intends to contract with the Canadian Commercial Corporation and the Northern Centre for Advanced Technology to obtain mechanical lunar regolith simulant and lunar-compatible regolith excavation and handling technologies. [Wednesday, June 4, 2008] Under the terms of the 40-year agreement, Google will lease 42.2 acres of unimproved land in NASA Research Park at Ames to construct up to 1.2 million square feet of offices and research and development (R&D) facilities in a campus-style setting. [Thursday, June 5, 2008] Today's weather report from Mars is great, thanks to Odyssey Moon industrial partners MacDonald Dettwiler (MDA) and Optech Incorporated. [Thursday, June 5, 2008] NASA will host a news teleconference Thursday, June 12, at 4:30 p.m. EDT, to announce the selection of the contractor for the Constellation Program's spacesuit system. [Friday, June 6, 2008] The purpose of this synopsis is for NASA to provide notification to the launch services industry that there will be no NASA Launch Services (NLS) solicitation open season in August 2008 due to ongoing acquisition planning activities. [Wednesday, June 11, 2008] Space Adventures announced today that it has finalized an arrangement with FSA, to launch the first private mission to the International Space Station (ISS). The mission is scheduled to launch in the second half of 2011. [Wednesday, June 11, 2008] Space Adventures, Ltd., the only company that provides human space missions to the world marketplace, announced today the Space Adventures' Orbital Mission Explorers Circle. [Friday, June 13, 2008] NASA has signed a $16.8 million contract modification to space shuttle main engine manufacturer Pratt & Whitney Rocketdyne Inc. of Canoga Park, Calif., to incorporate an employee retention plan implemented by the company. [Friday, June 13, 2008] Oceaneering International, Inc. announced it has secured a contract from The National Aeronautics and Space Administration (NASA) to design and build the agency's next generation space suit known as the Constellation Space Suit System. [Wednesday, June 18, 2008] Odyssey Moon, a commercial lunar enterprise, announced today that former NASA Associate Administrator Dr. Alan Stern has accepted a role with the Isle of Man-based company. [Friday, June 20, 2008] A United Launch Alliance Delta II rocket successfully launched the Jason-2 satellite in support of the Ocean Surface Topography Mission (OSTM/Jason-2) at 12:46 a.m. PDT, today. [Friday, June 20, 2008] Link to Launch: Floridians will gather, link their hands and countdown from 30 seconds when they will lift them skyward in a gesture to show solidarity and awareness of the importance of the Space Program to America. [Saturday, June 21, 2008] Arcata Associates Inc. plans to issue a Request for Quote (RFQ) for equipment needed to support continued Space Shuttle Main Engine (SSME) sensor testing at Marshall Space Flight Center (MSFC). [Saturday, June 21, 2008] NASA/JSC has a requirement for Lightweight Materials for the CEV Parachute Assembly System (CPAS) shall be developed, manufactured, and laboratory and flight tested for use in the skirt to shoulder region of the main canopies. [Monday, June 23, 2008] The "Link to Launch" rally at Port Canaveral drew an estimated 1,000 people who joined hands skyward as the first step in raising the awareness that space is critical to US security, culture and economic competitiveness. 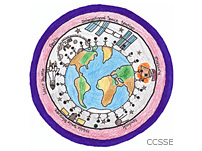 [Tuesday, June 24, 2008] This spring Challenger Center for Space Science Education invited students to use their creativity to design an original piece of art for a student mission patch for private space explorer, Richard Garriott. [Tuesday, June 24, 2008] Northrop Grumman Corporation successfully completed one of the most critical spacecraft environmental tests on NASA's Lunar Crater Observation and Sensing Satellite (LCROSS) two months ahead of schedule. [Thursday, June 26, 2008] According to NASA sources, Spacehab notified NASA on 29 May 2008 that it was requesting that its COTS (Commercial Orbital Transportation Services) Space Act Agreement (SAA) be terminated within 30 days. [Thursday, June 26, 2008] On July 23, NASA will host an Industry Day to discuss upcoming agency-wide acquisitions for the Information Technology Infrastructure Improvement Program. The program strategically will procure information technology infrastructure services for NASA. [Thursday, June 26, 2008] SpaceX successfully conducted a full launch dress rehearsal and hold down firing of the Falcon 1 Flight 3 vehicle on June 25, 2008 (Marshall Island Time) on Omelek Island, SpaceX's launch site at the Kwajalein Atoll.